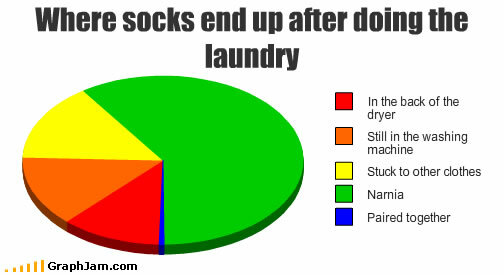 Laundry day and everything is in the basket – but where are the socks? David and Stephen are sent out on The Great Sock Hunt and find them in the most amazing places! from cleaning up his trike. They tossed them in the wash and then set off to look for more. with cars and boats and bikes. So many socks for just four feet but who has been hiding them? Has Dobby been collecting them to free his house-elf friends or is there something else afoot? Missing socks is one of the mysteries of the universe – there’s even a Lost Sock Memorial Day! But in this charming story that rattles along at a great pace because of the clever rhyme and rhythm the answer is much more simple. And, as well as enjoying the tale, young readers can also have fun trying to find all the items in each illustration, using the lists at the back as a guide. Matching and pairing socks and counting them is a great early childhood maths activity but wearing matching socks is overrated IMO! A lot of fun either as a bedtime read or a class activity, both the book and teachers’ notes are available directly from the publishers. This entry was posted on May 23, 2018, in Early Childhood, Family Stories, Interactive, Mystery, Picture Book, Preschool, Review, Story-in-Rhyme.